I have been racking my brain trying to come up with a new vegetarian side dish that was a little spicy and different from the “usual” side dishes we have at most meals. I say vegetarian side dish because I didn’t want to add bacon or any other meat product to enhance the flavors. I only wanted to blend together spices and the natural flavor of the veggies to create a wonderful tasting dish. 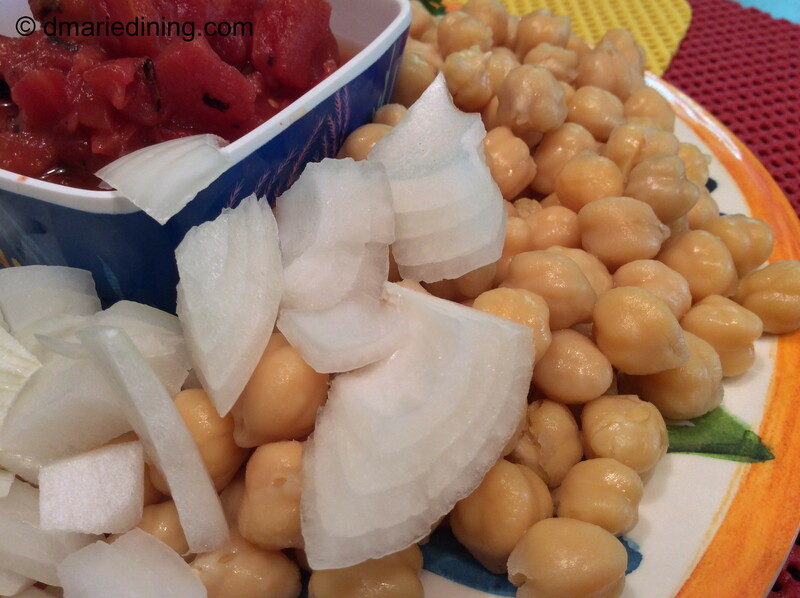 I decided to use chick peas as my main veggie after searching my cabinets for an idea. I had not prepared anything with chick peas for a while so I figured it would be a nice change of pace to incorporate them into a side dish. 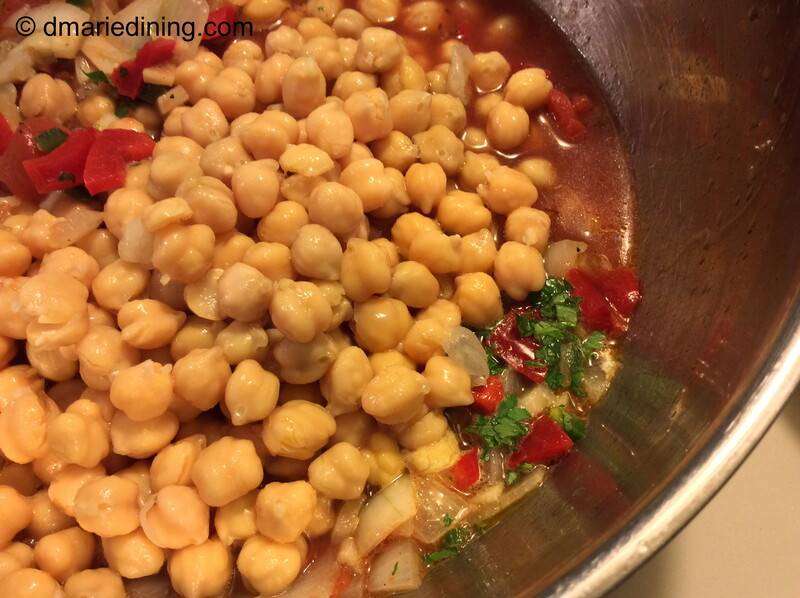 I finally decided to make Spiced Up Chick Peas using spices similar to what I use in my Moroccan Chicken recipe. I guess you could say I made Moroccan Chick Peas but I’ll stick with calling them spiced up. To tell the truth, this dish could be a main entree as well as a side dish. 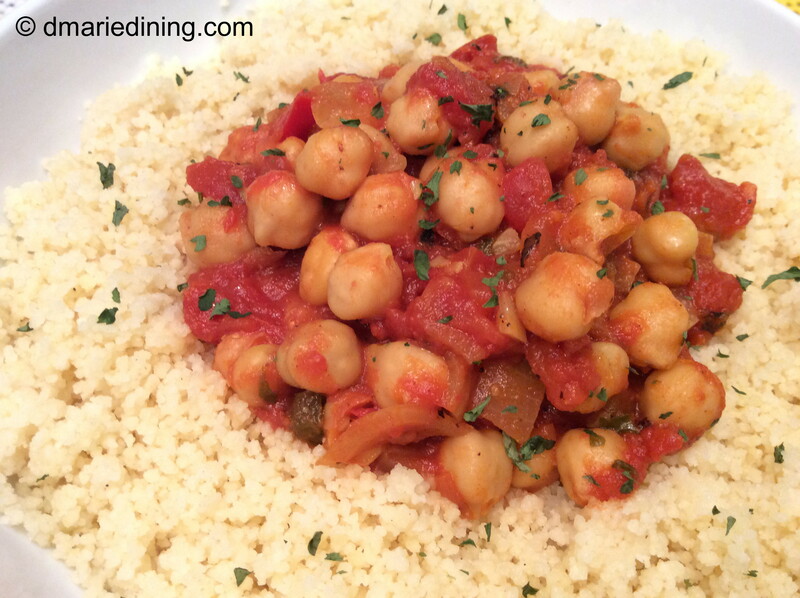 The chick peas are very filling and coupled with couscous it really can be a full meal. Whether you use a fork or a spoon, I think you will want to catch every drop of this very flavorful dish. Prepare couscous according to package. Saute onion in olive oil until onion is softened and slightly browned. Add garlic and stir constantly so that garlic does not burn. 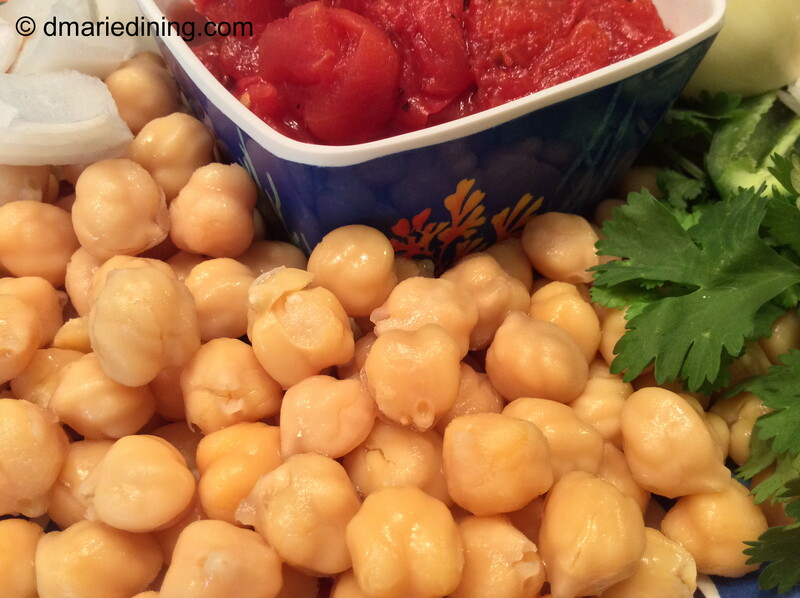 Place chick peas and all other ingredients in a large pot and simmer over medium heat for 45 minutes to 1 hour. Serve over couscous.